Far too many professionals see their careers stall at some point and fail to get the feedback they need to move off the plateau and advance to the next step. Often, the problem is an inability to communicate or interact appropriately with those at the executive level—whether clients or their own executive team. Excellent communication skills may not come naturally for you. Most people are not born with those skills in the same way as “natural” athletes seem to be born with certain athletic abilities. But here’s the good news: You can learn the communication skills, habits, and traits that make the critical difference in your success as a leader. Small changes can make a big difference in your impact. Dianna Booher has changed the way corporate America communicates. As you imagine, personal coaching is, well, quite personal. Senior leaders and executives come with many different types of communication challenges. We begin with analysis and assessment to determine the situation and identify their goals. Then we select the best approach to meet their goals. 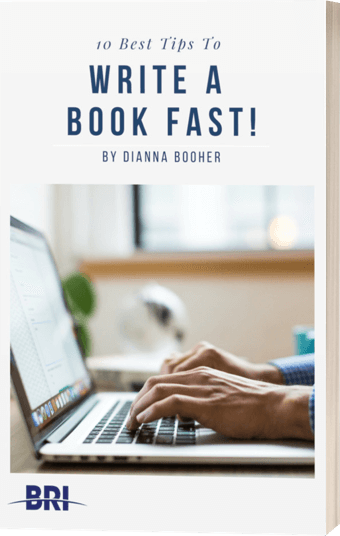 Dianna Booher is the communication guru of the 21st century! If it is extensive experience you want, that’s exactly what you’ll get in her executive presence coaching program. Consider the following experience she draws from to advise clients on the challenges they face. ….your message on how to improve the quality of our business and personal communications was right on target. Thanks again for your perfectly focused messages. Vice President, External Affairs, Verizon Communications Inc.